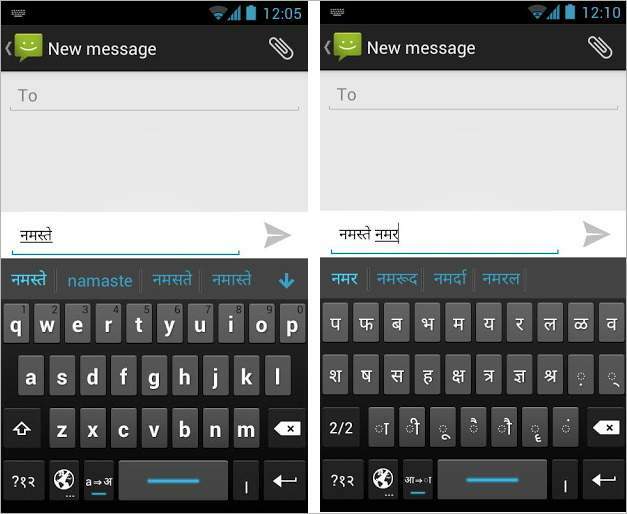 Google has launched Hindi Input app for Android devices which allows users to type in Hindi from their Android devices. If you can read नमस्ते correctly on your phone, then you may install and use Google Hindi Input app in your Android phone and tablets. Hindi transliteration With Google Hindi Input app users can type messages in Hindi or update on social networks or compose emails in Hindi on their Android phones. Users can Toggle the button “a->अ” on English keyboard to turn on/off transliteration mode. In the transliteration mode, users can type Hindi word in English characters and the app will convert them to Hindi. For example, if you type “hindi” in English then the app converts it into Hindi like हिंदी . And also you can type in English by simply turning off the transliteration mode on keyboard. In Desktop version Google Input tools for windows available for more than 20 languages including 11 Indian languages. Now Google releases Hindi input app for android users. We may except Google Input app for more Indian languages will coming soon.